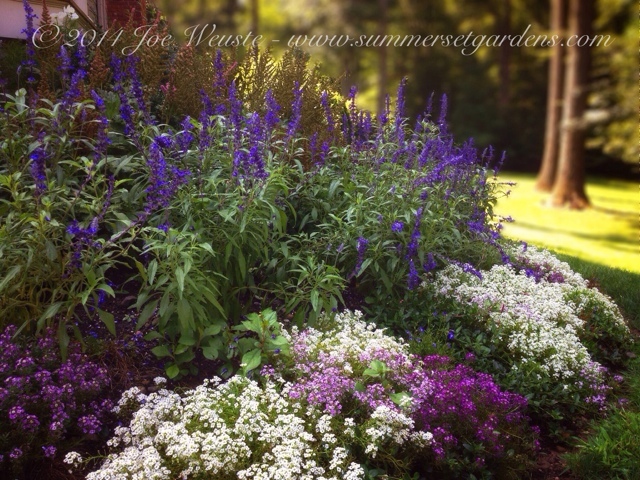 Garden Design: A NJ front yard flower bed. A NJ front yard flower bed. A NJ front yard flower bed in August. Blues, whites and lavender color scheme. Landscape, garden design and construction services in the NJ and NY areas. A garden path through a perennial garden. How to add curb appeal. A newly planted entry garden.